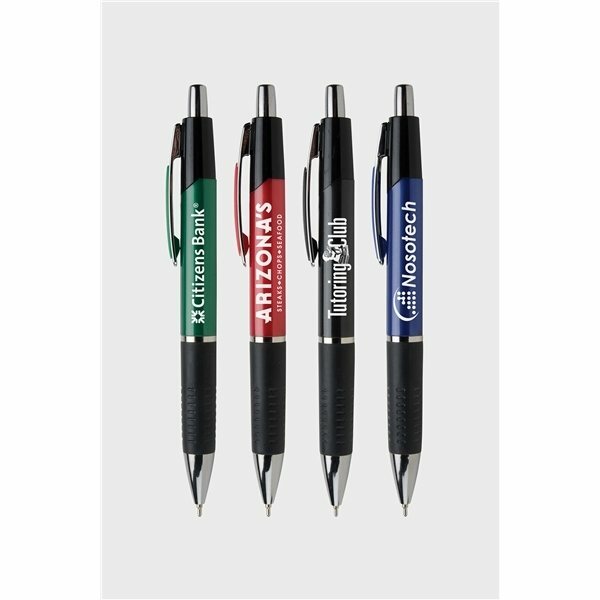 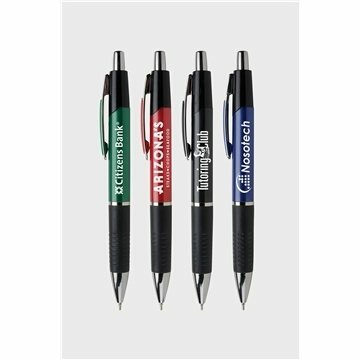 Pearlized corporate colors and bright chrome accents combine for executive pen appeal. Jumbo barrel and ribbed rubber grip for ergonomic writing comfort. 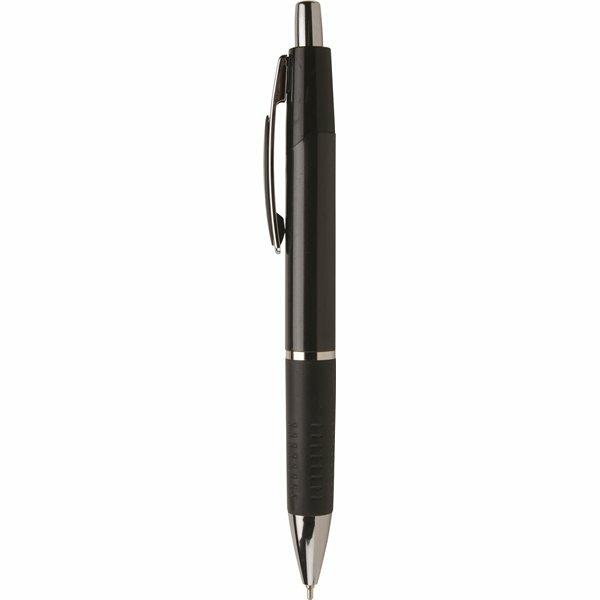 Super smooth bold black ink for.